Looking to purchase or lease a new sedan that boasts intuitive technologies, stunning style and impressive performance. If so, the 2019 Honda Civic should atop your list of vehicles to highly consider. Here at Honda Auto Center of Bellevue, you can explore these sleek cars and the features they offer, such as LED Headlights, Apple CarPlay™ and Android Auto™ Integration as well as available leather-trimmed seats. Don’t hesitate to make the short trip over from Seattle so that you can experience it for yourself in person! Here at our full-service dealership in Bellevue, we make it a priority to take care of you even long after purchase. 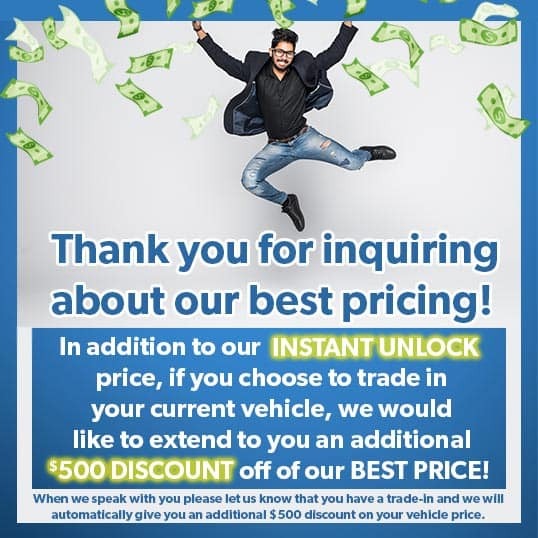 So after you’ve taken home the sleek Honda Civic or any other new or used vehicle that has caught your eye, you can rest assured that our certified technicians will be here to provide your sedan, SUV or truck with high-quality service and genuine parts that belong with your vehicle so that it stays running smoothly for as long as possible. We encourage you to make yourself at home here on our site where you can schedule your test drive of the 2019 Honda Civic as well as further explore our vast inventory of new cars for sale here at Honda Auto Center of Bellevue! Interior Features: Driver's and Front Passenger's Vanity Mirrors, Automatic Climate Control System, Power Windows with Auto-Up / Down Driver's and Front Passenger's Windows, Power Door Locks, Driver's and Front Passenger's Illuminated Window and Door Lock Controls, Cruise Control, One-Touch Turn Indicators, Tilt and Telescopic Steering Column, LED Pocket Light, Center Console with Sliding Armrest and Storage Compartment, Sliding Sunvisors, Door-Pocket Storage Bins (front/rear), Electronic Remote Trunk Release, Headlights-On Reminder, Capless Fuel Filler, Map Lights, Rear-Seat Heater Ducts, Floor Mats, 12-Volt Power Outlet (Front), Rear-Window Defroster with Timer, Cargo Area Light, Illuminated Steering Wheel-Mounted Controls, Front Beverage Holders. Exterior Features: Two-Speed Intermittent Windshield Wipers, Projector-Beam Halogen Headlights with Auto-On / Off, Security System with Remote Entry and Trunk Release, Push-to-Release Fuel Filler Door, Taillights with Integrated LED Light Bars, Body-Colored Door Handles, Body-Colored Power Side Mirrors. Interior Features: Automatic Climate Control System, Power Windows with Auto-Up / Down Driver's and Front Passenger's Windows, Power Door Locks, Driver's and Front Passenger's Illuminated Window and Door Lock Controls, Cruise Control, One-Touch Turn Indicators, Tilt and Telescopic Steering Column, LED Pocket Light, Center Console with Sliding Armrest and Storage Compartment, Sliding Sunvisors, Door-Pocket Storage Bins (front/rear), Electronic Remote Trunk Release, Headlights-On Reminder, Capless Fuel Filler, Map Lights, Rear-Seat Heater Ducts, Floor Mats, 12-Volt Power Outlet (Front), Rear-Window Defroster with Timer, Cargo Area Light, Illuminated Steering Wheel-Mounted Controls, Front and Rear Beverage Holders, Sport Pedals, Push Button Start, Driver's and Front Passenger's Illuminated Vanity Mirrors, Passenger-Side Seatback Pocket, Rear-Seat Center Armrest, Leather-Wrapped Steering Wheel, Leather-Wrapped Shift Knob. Exterior Features: Integrated Rear-Window Antenna, Projector-Beam Halogen Headlights with Auto-On / Off, Security System with Remote Entry and Trunk Release, Push-to-Release Fuel Filler Door, Taillights with Integrated LED Light Bars, Body-Colored Door Handles, Body-Colored Power Side Mirrors, Center Outlet Exhaust, Smart Entry with Walk Away Auto Lock®, Fog Lights, Body-Colored Decklid Spoiler, Variable Intermittent Windshield Wipers. Interior Features: Power Windows with Auto-Up / Down Driver's and Front Passenger's Windows, Power Door Locks, Driver's and Front Passenger's Illuminated Window and Door Lock Controls, Cruise Control, One-Touch Turn Indicators, Tilt and Telescopic Steering Column, LED Pocket Light, Center Console with Sliding Armrest and Storage Compartment, Sliding Sunvisors, Door-Pocket Storage Bins (front/rear), Electronic Remote Trunk Release, Headlights-On Reminder, Capless Fuel Filler, Map Lights, Rear-Seat Heater Ducts, Floor Mats, 12-Volt Power Outlet (Front), Rear-Window Defroster with Timer, Cargo Area Light, Illuminated Steering Wheel-Mounted Controls, LED Gear Selection Indicators, Front and Rear Beverage Holders, Push Button Start, Driver's and Front Passenger's Illuminated Vanity Mirrors, Passenger-Side Seatback Pocket, Rear-Seat Center Armrest, Leather-Wrapped Steering Wheel, Leather-Wrapped Shift Knob, Dual-Zone Automatic Climate Control System. Exterior Features: Integrated Rear-Window Antenna, Projector-Beam Halogen Headlights with Auto-On / Off, Security System with Remote Entry and Trunk Release, Push-to-Release Fuel Filler Door, Taillights with Integrated LED Light Bars, Body-Colored Door Handles, Heated Body-Colored Power Side Mirrors, Smart Entry with Walk Away Auto Lock®, Fog Lights, Body-Colored Decklid Spoiler, Variable Intermittent Windshield Wipers, One-Touch Power Moonroof with Tilt Feature, Fin-Type Roof-Mounted Antenna. Interior Features: Power Windows with Auto-Up / Down Driver's and Front Passenger's Windows, Power Door Locks, Driver's and Front Passenger's Illuminated Window and Door Lock Controls, Cruise Control, One-Touch Turn Indicators, Tilt and Telescopic Steering Column, LED Pocket Light, Center Console with Sliding Armrest and Storage Compartment, Sliding Sunvisors, Door-Pocket Storage Bins (front/rear), Electronic Remote Trunk Release, Headlights-On Reminder, Capless Fuel Filler, Map Lights, Rear-Seat Heater Ducts, Floor Mats, 12-Volt Power Outlet (Front), Rear-Window Defroster with Timer, Cargo Area Light, Illuminated Steering Wheel-Mounted Controls, LED Gear Selection Indicators, Front and Rear Beverage Holders, Push Button Start, Driver's and Front Passenger's Illuminated Vanity Mirrors, Passenger-Side Seatback Pocket, Rear-Seat Center Armrest, Leather-Wrapped Steering Wheel, Leather-Wrapped Shift Knob, Dual-Zone Automatic Climate Control System, HomeLink® Remote System, Automatic-Dimming Rearview Mirror. Exterior Features: Projector-Beam Halogen Headlights with Auto-On / Off, Security System with Remote Entry and Trunk Release, Push-to-Release Fuel Filler Door, Taillights with Integrated LED Light Bars, Body-Colored Door Handles, Heated Body-Colored Power Side Mirrors, Smart Entry with Walk Away Auto Lock®, Fog Lights, Body-Colored Decklid Spoiler, Variable Intermittent Windshield Wipers, One-Touch Power Moonroof with Tilt Feature, Fin-Type Roof-Mounted Antenna. Interior Features: Power Windows with Auto-Up / Down Driver's and Front Passenger's Windows, Power Door Locks, Driver's and Front Passenger's Illuminated Window and Door Lock Controls, Cruise Control, One-Touch Turn Indicators, Tilt and Telescopic Steering Column, LED Pocket Light, Center Console with Sliding Armrest and Storage Compartment, Sliding Sunvisors, Door-Pocket Storage Bins (front/rear), Electronic Remote Trunk Release, Headlights-On Reminder, Capless Fuel Filler, Map Lights, Rear-Seat Heater Ducts, Floor Mats, 12-Volt Power Outlet (Front), Rear-Window Defroster with Timer, Cargo Area Light, Illuminated Steering Wheel-Mounted Controls, LED Gear Selection Indicators, Front and Rear Beverage Holders, Sport Pedals, Push Button Start, Driver's and Front Passenger's Illuminated Vanity Mirrors, Passenger-Side Seatback Pocket, Rear-Seat Center Armrest, Leather-Wrapped Steering Wheel, Leather-Wrapped Shift Knob, Dual-Zone Automatic Climate Control System, HomeLink® Remote System, Automatic-Dimming Rearview Mirror. Exterior Features: Security System with Remote Entry and Trunk Release, Push-to-Release Fuel Filler Door, Taillights with Integrated LED Light Bars, Chrome-Colored Door Handles, Heated Body-Colored Power Side Mirrors With Integrated LED Turn Indicators, Smart Entry with Walk Away Auto Lock®, Fog Lights, Body-Colored Decklid Spoiler, Variable Intermittent Rain-Sensing Windshield Wipers, One-Touch Power Moonroof with Tilt Feature, Fin-Type Roof-Mounted Antenna, LED Headlights with Auto-On/Off.